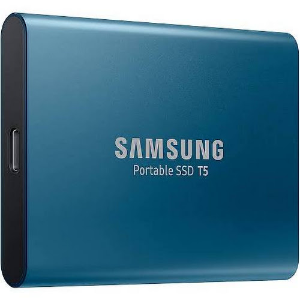 Amazon.com offers the Samsung Portable T5 500GB Portable SSD for $97.99. Features: The Samsung Portable SSD T5 elevates data transfer speeds to the next level and unleashes an advanced experience in external storage. With a compact and durable design and password protection, the T5 is truly easy to carry and stores data securely.